Recently while doing a new photo shoot for the website, we were teeming up different garments for different shots, and looking at how some things went so well together, and how modern the Aran Sweater and Grandfather Shirt could look despite their at times old fashioned image. With the beautiful Wicklow countryside in the background we wanted to show the versatility of the Aran, and how great it can look over a flannel grandfather shirt with a pair of jeans. This Aran range is the new Carraig Donn Merino range, soft to the touch with warm earthy colours, it’s also a unisex garment stating in xsmall up to XXL. The Grandfather Shirt has a very classic Irish look with the blue and white stripe, it buttons half way down the front, looks great under an Aran or a waistcoat and our model Stephen gives it a very fresh modern look. The look is finished off with a woven cap by Hanly of Tipperary, made using 100% wool, in a great earthy brown to compliment the Aran. With baggage restrictions as they, for those travelling around Europe, weight is an obvious issue when it comes to buying gifts. If you are looking for something light, genuinely Irish, then scarves, socks and ties and caps definitely come into our top 5! They also have the added benefit of fitting everybody. 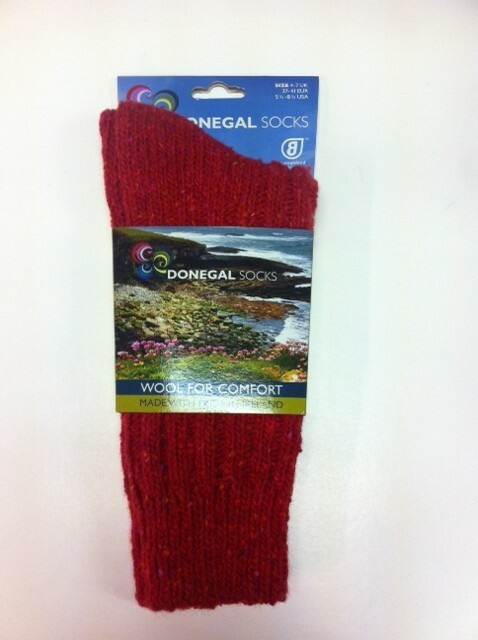 With our wool sock range, they come in 2 sizes, men’s and women’s, also in variety of wools, wool combinations, be that 100% wool for the person who really feels the cold, 80% Wool for those who hill walk and like to be able to throw them in the machine afterward. Scarves are a huge seller for us online, we sell a huge amount of replacement scarves too, for all of our in store visitors who have left theirs on a plane, train or in a pub along their travels! 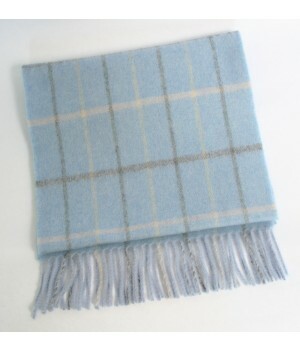 We stock the traditional Hanly wool tartan scarves, the funkier wool Suantrai Scarf and the very special McKiernan Scarf made on a 19th century Loom in County Limerick , one of only it’s kind, as well as an extensive range of other brands. 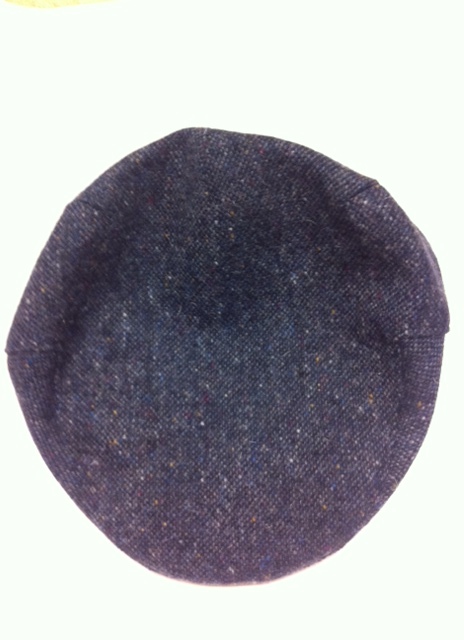 Tweed caps have long been the first pick up for visitors and Irish customers alike in our Dublin Store, they are hard wearing, last for years and they are an absolute classic, all ages buy them, we even do kids tweed caps, men and women alike love them. In a variety of tweeds, plain or patch ranging in size from small to x-large, all that’s needed to size one in the circumference of the head. Again tweed ties are a one size fits gift, something that lasts for years , nice and light to pack or ship and have that genuinely bought in Ireland look. We also stock a range of silk ties inspired by the Book of Kells, with beautiful intricate tri-spiral designs or latin script. 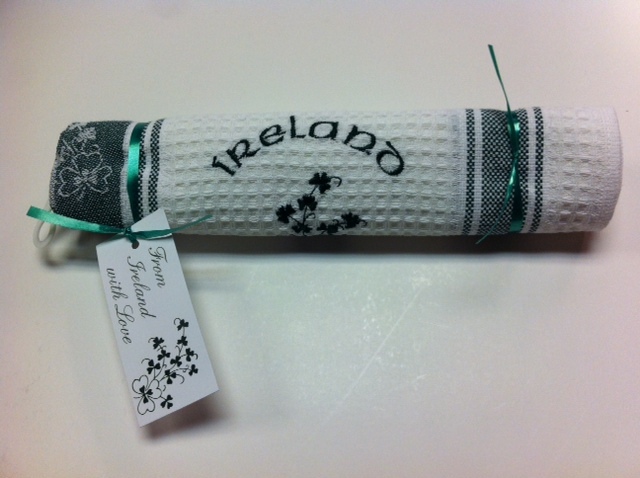 Most visitors to Ireland don’t leave without an Irish linen t-towel, now they are mostly linen union made up of 55% linen and 45% cotton, they make an excellent light gift and come in nice double presentation packs, which we will have back in stock in June.